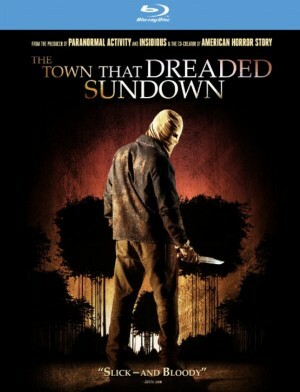 THE TOWN THAT DREADED SUNDOWN (Blu-ray / DVD Artwork). ©Image Entertainment. 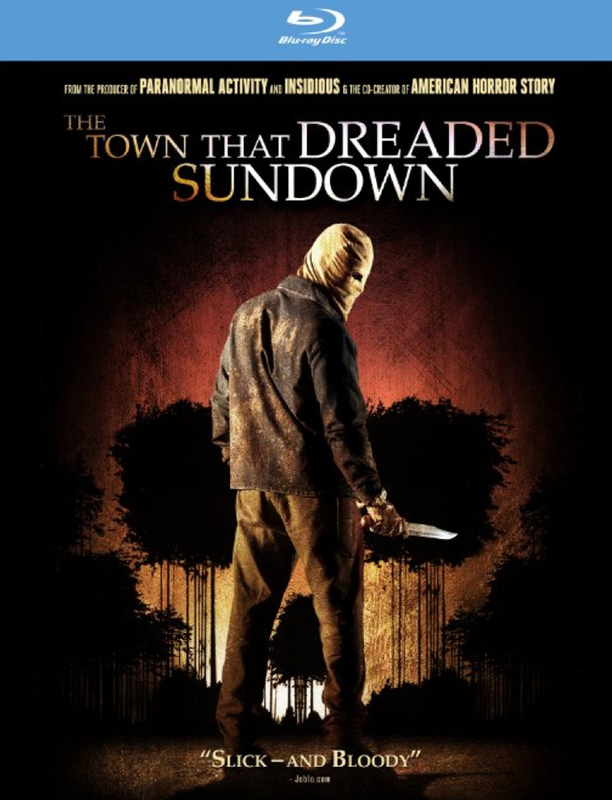 “The Town That Dreaded Sundown” is available Tuesday, July 7 on DVD. Additionally, the thriller will available on Blu-ray exclusively at Best Buy the same day. Directed by Alfonso Gomez-Rejon (“Me, Earl and The Dying Girl,” “American Horror Story”) from a screenplay by Roberto Aguirre-Sacasa (Carrie, “Glee”), the film is based on the 1976 cult classic of the same title directed by Charles B. Pierce. Based on a terrifying true story, “The Town That Dreaded Sundown” picks up 65 years after a masked serial killer terrorized the small town of Texarkana, when the brutal “Moonlight Murders” suddenly begin again. While on a trip to Lovers’ Lane, 17-year-old Jami (Addison Timlin, “Californication”) watches as her date is brutally slain by a masked serial killer. Barely escaping with her life, Jami becomes obsessed with finding the killer referred to as “The Phantom.” As the body count in the small town mounts and the carnage comes closer, Jami delves deeper into the mystery with the help of the town archivist Nick (Travis Tope), following clues that point her toward the killer’s true identity. The film also stars newcomer Travis Tope, Gary Cole (“Veep”), Joshua Leonard (“The Blair Witch Project”), Anthony Anderson (“Black-ish”), Denis O’Hare (“American Horror Story”), Edward Herrmann (“The Good Wife”) and Veronica Cartwright (“The Birds”). It is produced by Jason Blum (the “Paranormal” Activity franchise) and Ryan Murphy (“Glee”). “The Brokenwood Mysteries” follows the town’s newest resident, legendary but down-to-earth Detective Inspector Mike Shepherd, as he finds that murder lurks in even the most homely location. Neill Rea (“Scarfies”) stars in the lead role of DI Shepherd, while Fern Sutherland (“The Almighty Johnsons”) plays meticulous, ambitious Detective Constable Kristin Sims in this acclaimed mystery series. “The Brokenwood Mysteries” received a Bronze World Medal in the Drama category at the 2015 New York Festivals International Television & Film Awards. Series 1 also features some of New Zealand’s most popular musicians, including Tami Neilson and Delaney Davidson. Both of whom have won multiple music awards. 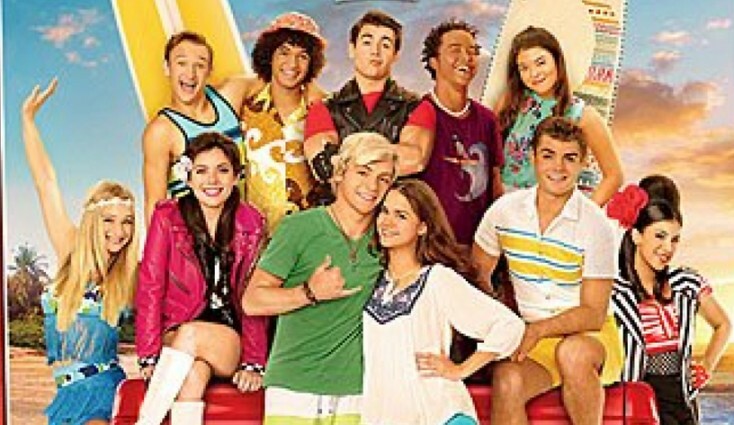 Available now on DVD is Disney Channel’s “Teen Beach 2,” the sequel to the surf-themed teen comedy. The sequel picks up with summer over and school back in session. Brady (Ross Lynch) and Mack’s (Maia Mitchell) relationship seems headed for a wipeout until Lela, Tanner and the “Wet Side Story” kids show up. Dazzled by the novelty and variety of the modern world, Lela wants to stay, but the real world and the “reel” world just don’t mix. Can Mack and Brady find the magic to get the kids home and get their own romance back on track before it’s too late? Packed with song and dance numbers and fish-out-of-water characters, “Teen Beach 2” is G-rated fun for the whole family.